Capitol Office Furniture has been delivering complex office furniture projects in MD/DC/VA since 1997 and are experts in workplace strategy, furniture planning, specification, coordination, installation and related services. Their focus is on providing a repeatable and tailored service model that ensures quality, on-time, on-budget project delivery and complete client satisfaction. Guaranteed. We deliver your project and our solutions through our Account Team approach. From the first project, to the moves, adds and changes, the same team stays dedicated to your satisfaction. 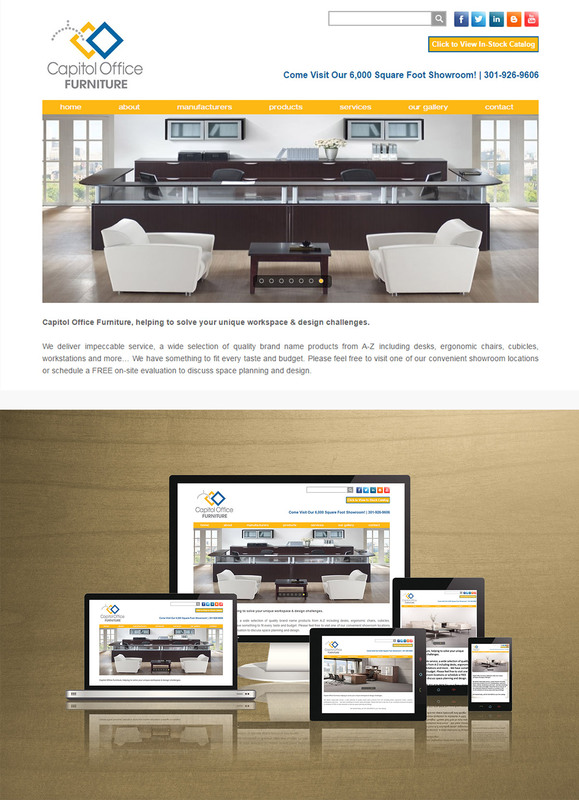 Capitol Office Furniture has been delivering complex office furniture projects in MD/DC/VA since 1997 and are experts in workplace strategy, furniture planning, specification, coordination, installation and related services. Their focus is on providing a repeatable and tailored service model that ensures quality, on-time, on-budget project delivery and complete client satisfaction.